HP has unveiled a whole array of interesting new products – a game streaming app, 3D cameras, new Chromebooks – for CES 2018 and it’s Windows PC offerings have also been spruced up. 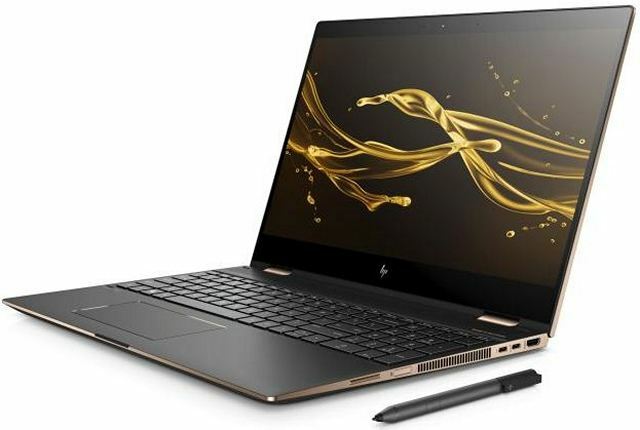 The first one is the Intel version of the x2 hybrid that’s expected to launch later this year, while the HP Spectre x360 convertible also gets a refresh, and will hit the store shelves on March 18. So without any further ado, let’s take a look at the two. As its name suggest, the Spectre 15 x360 features a 15.6-inch UHD IPS touchscreen, and can be used in many configurations thanks to the 360-degree hinge. It also sports Gorilla Glass 4 protection on the touch screen display. It’s one of the devices that’s powered by Intel’s recently-announced 8th-Generation Kaby Lake-G CPU with Radeon RX Vega M graphics processor (unspecified chip), although, you do get an option to opt for one with a Kaby Lake-R CPU (i7-8850U) and an Nvidia GeForce MX 150 discrete GPU. The device will come with up to 16GB of DDR4 2400MHz RAM, and will have 512GB of PCIe NVMe M.2 SSD internal storage. In terms of connectivity, the device will ship with 1 Thunderbolt 3 port, 1 USB 3.0 Type-C port, 1 USB Type-A port, as well as an HDMI port. There will also be 1 Headphone-out/mic-in combo jack. 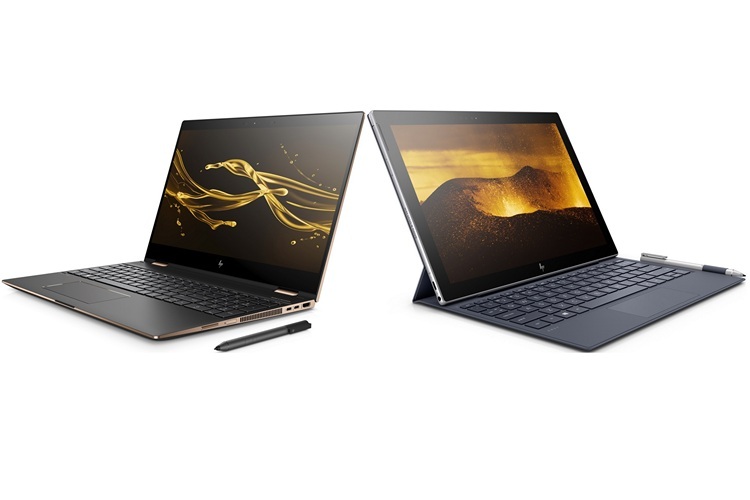 The laptop will also feature a geared hinge that will allow it to be used as a convertible, while four Bang and Olufsen speakers takes care of the audio duties. HP is bundling the ‘HP Pen’ with the device, but users can also opt for the ‘Title Pen’ for $50 extra. Pricing for the HP Spectre 15 x360 will start at $1369.99 and as mentioned earlier, it will be available this March. After having launched the Snapdragon-powered model of its Envy x2 recently, HP has now announced the Intel-powered version of the device at the CES 2018. It features a 12.3-inch screen just like its Snapdragon-powered cousin, and is powered by a 7th-generation Y series processor. One important distinction between the Qualcomm and Intel models is the operating system. While the former comes with Windows 10S, the later will ship with Windows 10. The device, however, will be offered with optional LTE connectivity just like the Snapdragon model. Further details about the Intel-powered Envy x2 are a little hard to come by, but it will apparently offer up to 256GB of PCIe SSD storage. It will also ship with B&G speakers, but only two, instead of the four found on the Spectre. 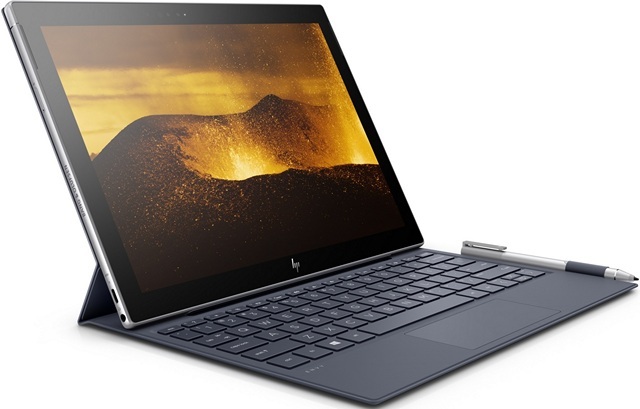 The device will also ship with a backlit keyboard and the HP digital pen as seen in the image below. HP says the hybrid will have HP Fast Charge technology that will be able to charge up the battery by up to 90% in 90 minutes. HP is yet to announce the price of the Intel-powered HP Envy x2, although, the company says it will be available for purchase this Spring. Which one of these two caught your eye? Looking forward to HP’s new line-up in 2018? Let us know down below.